Too much of something can be a bad thing. Like ice cream (especially for the lactose intolerant), or child digital monitoring services for parents. Used the right way, it can keep kids safe and give parents useful insight. Used the wrong way, and it is just a really sophisticated spy shop grown-up toy. I have mixed feelings on these types of services. Maybe it’s because I’m closer in age to the kid than the parent, or because I, myself, don’t have children yet, but most of it seems way over the top. That is why I wanted to do some more research on parental intelligence services like uKnowKids. uKnowKids is a service that gives parents the ability to track and monitor the entirety of their children’s digital footprint. Parents can monitor location through phone GPS, setting “geofences” that notify parents when their kids travel outside of set boundaries. They can also view SMS text messages, tweets, posts, phone call histories, and photos (through Instagram or messaging). Parents can get alerts for “risky” text messages or social media behavior. But is that too much power, too much knowledge? Today’s world has created unfortunate and terrible incidents, with a large number of them perpetrated through digital channels like social networks and cell phones, so the need and desire for complete transparency is definitely understandable. And probably necessary. However, is reading through your child’s text message history nightly or weekly something that parents should be doing? 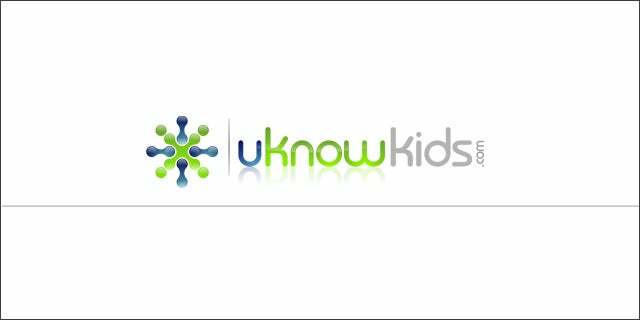 uKnowKids is comprehensive; only a few of their services are listed above. They also provide data analysis for parents that provides insight into their children’s digital usage and patterns. This is where I started to understand what uKnowKids and services like them were really solving. These software solutions were not intended for the nosy or helicopter parent. These tools are there for parents to act as fail safes that trigger alerts and make parents aware of dangerous or suspicious behavior. When suspicious behavior arises, uKnowKids mines and stores the data so parents can assess the situation and better handle it. It is not meant for spying. I think a big misconception is that parental intelligence services were invented or intended to stop kids from conspiring to sneak into PG-13 or R-rated movies, etc. That’s not the case. Instead, the intended use of these services is to safeguard against inappropriate and predatory digital behavior. Used as such, these services are invaluable. Of course, like most things in the digital age, it can be used inappropriately. Parents can use it to snoop or pry but, let’s be honest, they would have found a way to do so anyway. What is paramount about uKnowKids is that it touches all of the digital channels, and converts this raw data into analysis that is easy to read and provides useful and educational information for parents. With this data, parents can be better prepared for raising kids in a digital age that moves too quickly to keep up. But please, parents, remember that you were kids once, too. Use your powers for good. uKnow was a showcased startup at our Tech Cocktail DC mixer.